What’s your plan for your independent pediatric practice when you retire? Don’t have one? You’re not alone. Effective succession planning, also called legacy planning, is an often-overlooked task yet it’s an essential aspect of the business of pediatrics. Succession planning is important for more than just the far-off dream of retirement. What happens if you have an unexpected health issue and can’t practice anymore? Since anything could happen at any time, a good rule of thumb is to have a ‘business continuity’ plan in place from the start. Whether you plan a few years or a few decades ahead of time, the important thing is to plan. For this post, we sat down with one of PCC’s practice management consultants as well as two clients, to hear their stories and advice. Because of those strong ties, it’s unlikely an independent pediatrician will retire without taking the time to ensure the future care of their patients and the ongoing success of the practice – and that means finding the right buyer. There are, of course, exceptions, but these scenarios are the most common. Each of these buyers stands to gain something different from the purchase of your practice. A hospital or health system purchasing your practice is getting the benefit of a built-in patient base. A hospital has the budget to support the overhead, hiring, and technical needs that come with acquiring a new business. They also have another important feature: lucrative insurance contracts. But they have a hard time growing a patient base. Why else would a hospital be interested in purchasing a pediatric practice? Picture this: a parent wants their child to see a specific pediatrician, so they sign on with an insurance carrier that is accepted by the practice. Now the whole family is covered by that insurance. And when the hospital purchases the practice, anyone in the family who needs to be seen at the hospital is now a patient. So, a hospital is looking at this as a way to dramatically increase their reach – through this purchase they will potentially acquire both the pediatric patients and their family members. If the buyer is another independent pediatrician, it’s likely they’ll be bringing patients with them, so although a built-in patient base is desirable, it’s not the primary selling point. Independent pediatricians are interested in the opposite of what the hospital wants; namely, a solid business infrastructure. These buyers will look to benefit from your location, equipment, built-in staff, and the insurance contracts that have already been negotiated just to name a few things. Once you decide who your buyer will be, you need to determine the terms of your sale. It’s nearly impossible to apply one formula to every practice, but according to Chip Hart, there are a few key variables in place with every practice and you’re selling adjustments to those numbers. Those variables include: overhead, dollars per visit, and total visits. Chip adds, “With a hospital, on the other hand, the practice's overhead is a tiny drop in their bucket. They are looking at your practice and seeing that it generates 600K and runs at a 224K profit after overhead. If they choose to then employ a pediatrician to run it at a 150K salary, they can squeeze 70K out of it right away." Make sure all of your plans are in writing. Hire legal counsel and don’t rely on a promise and a handshake. Get your insurance contracts cleaned up – they stay with your practice, so the buyer will likely inherit them. Excellent payer contracts are a good selling point. Start planning as soon as you go into business. It’s never to early to make a plan. Ideally, you’ll bring a partner on to work with you during the transition phase, rather than sell and disappear. Be aware that if you are working in an underserved area, it may be hard to find a replacement. If you are not in a highly sought-after location, you may end up selling to a hospital as it can be difficult to find independent pediatricians who will want to move there to take over the practice. Before you dive into the details, it can be helpful to brainstorm a list of goals, wishes, or concerns for your practice after you leave. Identify what you want to remain the same (e.g., staff is not laid off) and what you don’t mind changing. This can give you a jumping off point for more detailed planning. There are many ways to transition from working full time as an independent pediatrician to being fully retired. Let’s look at how two independent pediatricians created their succession plans. 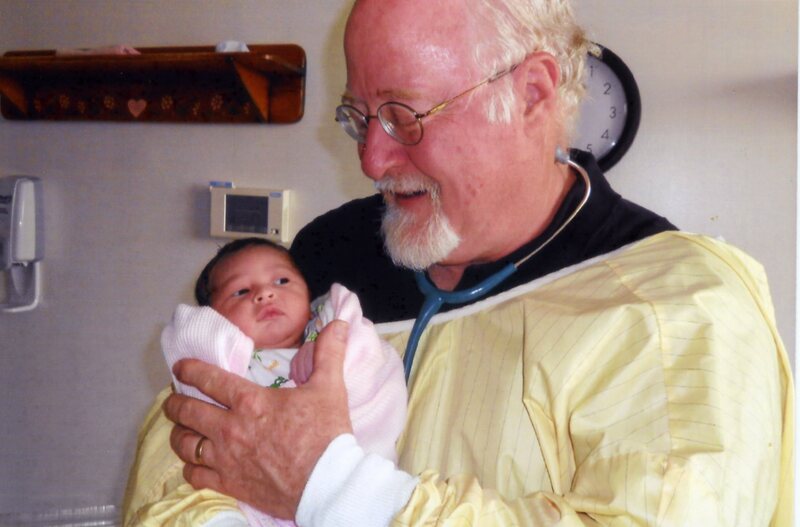 Dr. Thomas Moseley spent his pediatric career at the helm of Newport Pediatrics in Newport, VT. Dr. Moseley began his solo practice as the only pediatrician in two counties in 1982. He came to Vermont’s Northeast Kingdom, a rural shortage area, to fulfill a National Health Service Corps obligation but he stayed on well beyond his required timeframe. For all the above reasons, Dr. Moseley wanted to make sure that his patients would not be left in the lurch and that his staff would all keep their jobs and have a soft landing whether he sold to another pediatrician or to the hospital. When it became clear that neither of these options was in the cards, he started negotiations with the local hospital. During this phase, Dr. Moseley drew on the expertise of various consultants, including an attorney who worked with health care organizations and had dealt with physician group mergers and buyouts, and his long-term accountant who prepared a valuation of the practice based on a cash flow model. This provided a benchmark that could be used in negotiations with the hospital. Continuity of good pediatric care. A good salary and seniority for the employees who would now work for the hospital. In the end, Dr. Moseley sold the practice to the local hospital. Speaking about the negotiation process, he shares, “The hospital started from the position that the practice was worth only the depreciated book value of the assets and an appraised value of the real estate, about 2/3 of what it was worth as a going enterprise. Since there were no other serious buyers for the practice, they had the upper hand. We went through a prolonged negotiation, in which I had developed a figure for the practice and building, derived from my accountant’s cash flow valuation and a real estate appraisal." "In this day and age, hospitals are loath to pay for ‘good will,’ or the value of the practice as a business entity. The hospital initially balked at paying anything for the practice apart from the hard assets, but saw the light when they realized that no one, least of all themselves, wanted to have to deal with 2500 doctorless patients at once." Now for an example of a pediatrician who took a different path with succession planning. 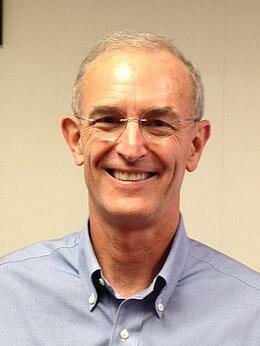 Dr. Brian Patterson is a founder of Patterson and Tedford Pediatrics in Atascadero, CA. Speaking with him about succession planning, you can see that it’s not something he has waited to do during the final years before retirement – it’s something that he has infused into the fabric of his practice from day one. Dr. Patterson trained in Buffalo, NY and completed his residency and internship in L.A. In 1979 he moved to California’s Central Coast to join a large multi-specialty group practice. When the practice went out of business just 4 or 5 months later, Dr. Patterson suddenly found himself with 2 small children, a wife, a mortgage, and no job. Fortunately, the other two pediatricians that had been working with him there decided to join him in starting a private practice. It must have been terrifying at the time, but in retrospect he laughs and says, “It was 1980. We decided on private practice and none of us knew anything! We inherited some equipment, each invested $1000, and learned how to post and code – we got thrown right into the fire!” Luckily the administrator of the clinic, who also administered the local hospital, had a wealth of experience and he offered sage advice. And that was, "Start a retirement plan now." Over the years, their group grew to include 6 pediatricians. Then the day came in 1998 that the hospital offered to buy their practice. They agreed, but soon came to realize that while the hospital knew how to run a hospital, they did now know how to run a pediatric practice. The loss of control that came from working for the hospital quickly became untenable, so Dr. Patterson and one other pediatrician, Dr. Jim Tedford, agreed to venture out on their own. In 2000, Patterson and Tedford Pediatrics was born. Within the first year of striking out on their own, two of their major payers went bankrupt. However, the financial planning which led to the habit of saving and having capital allowed them to make it through this lean time. They also opened another pension plan when they started Patterson and Tedford Pediatrics. With the exception of that first year in business, they have always fully funded the plan. Another key planning tool has been to incorporate age diversity among his providers. As he shares, “Corporate knowledge and institutional knowledge - those habits created in a business and the things modeled to others – are not easily teachable. That sort of mentoring is what I think is essential if you’re looking down the road. You want a 30, 40, and/or 50-year-old provider working alongside an older provider who has experience and has figured out a strategy and a discipline to deal with contingency situations. There are not very many young physicians with crushing student loan debt prepared to move to a state like California with its high real estate prices, high taxes, and on top of that, buy a house and a practice. They just can’t do it." When it comes to the actual transition into retirement, Dr. Patterson favors a gradual approach. Currently he is still working full-time, seeing patients and managing the business. The practice brought on a new resident last September, and another pediatrician will be joining them in July. They are 33 and 50 years old respectively – in alignment with Dr. Patterson’s philosophy on maintaining age diversity in your practice. His job will be to train and mentor them while gradually transitioning his patients into their care. His hope is that by the end of 2019 he’ll no longer be the owner/operator of the practice, and these new providers will have taken over. As he says, “I’m at the end of my career. But I love what I do. I love going to work. Pediatricians have the greatest job in the world. I’m not planning on retiring right now but I would like to be out of the day to day management and see patients only one or two days a week.” During the transition phase, he’ll likely spend a year or two continuing to be in the office, so patients see the same familiar face and have an easier time shifting to the new providers. There are many paths to choose from on the road to succession planning. What works for one pediatrician may not work for another. And success can be found in myriad situations. Whether you plan from day one or start the process later, whether you pass the practice to a hospital or another independent pediatrician, there is a way to make it work for you. The important thing is to plan. Don’t hope that things will fall into place at the last minute. Decide what your goals are for yourself and for the future of your practice and take steps to make those wishes a reality. Effective succession planning takes diligence, but if done well it will leave an ongoing legacy for yourself, your community, and your patients. For several years, Courtney Edelson was the Marketing Content Manager at PCC. She wrote for the PCC Blog, and created additional content to keep pediatricians up to date on important healthcare industry news and trends. In addition to being a lifelong writer, Courtney brought nearly a decade of healthcare practice management experience to her work.